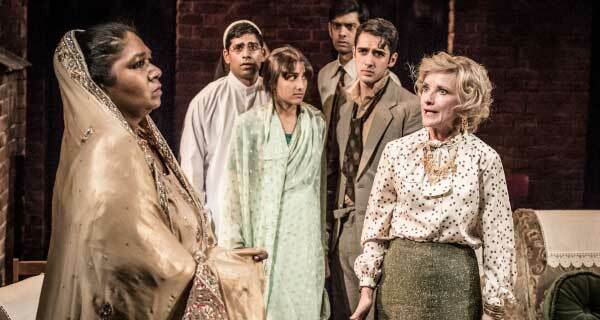 Set in the cramped, decaying terraces of 1970s Salford, Ayub Khan Din’s East is East tells the story of the Khan family, their eastern heritage and western mentalities and the escalating conflict this dichotomy triggers. There’s as much love present in the Khan home as there is in The Simpsons, but no escaping the fact that the indomitable George Khan – known to his offspring as Genghis – may as well be living on another continent… or planet for that matter. The mixed-race Pakistani Khan children attempt stay faithful to their father’s values but, in addition to all the usual growing pains, his six sons and one daughter – with their white, English mother – struggle to ignore the emerging opportunities available to them in the west. Consequently, handed down from one generation to the next in the Khan family – more than tradition, culture or religion – is an incurable case of identity crisis. While focusing on the friction that threatens the Khan family specifically, East is East also presses upon more general themes such as parental expectation, domestic violence, ambition, social mobility, war, and romance. Its partly ironic title is, in fact, as futile as George’s tirades, because East is East is about all of society – east and west – and civilisation struggling to harmonise as it moves unremittingly into the future. After a stuttering start East is East gathers fiery pace. Each character – skilfully portrayed by the adept cast – is distinct and yet somehow familiar. Sam Yates’ pellucid and bold direction makes it painfully clear that this family, living in uncomfortably close quarters, are in fact strangers – hiding within coal sheds or Parker coats, living worlds apart with inches in between. Jane Horrocks is George’s wife – the heroic, chain-smoking, tea-drinking Ella Khan. 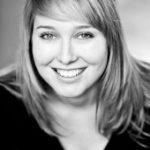 Despite being repeatedly referred to by her husband as ‘stupid’ Ella gives as good as she gets, diffusing his frequent outbursts with infectious laughter and digestive biscuits. It’s unconvincing that this marriage – albeit a loving one – is 25-years strong but Horrocks is non-the-less every bit believable as a frayed mother battling to keep the peace. East is East isn’t the searing feast of theatricality you might expect from Lloyd, but the hallmarks and flourishes of his Trafalgar Transformed season are plentiful. The worn, retro couches on set – contaminated by years of family life – inhabit the Khan home like relics, and designer Richard Howell’s lighting subtly divides the cramped and chaotic home allowing for intimate conversations to be drawn into focus. This part-autobiographical adaptation by Ayub Khan Din (who also plays George) is painfully funny, beautifully acted and consequently worthy of its prestigious stage time at the Trafalgar Studios and subsequent UK tour. The film too will, of course, retain its place among my favourites on the DVD rack.